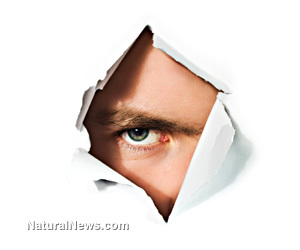 (NaturalNews) Since Americans learned that their own National Security Agency has been used to spy on them, in violation of its mandate to conduct only foreign surveillance and in direct violation of the Constitution, there has been an outcry from tens of millions of citizens upset that the Bush and Obama Administrations appear to have turned on them. But the most interesting - and disappointing - revelations to date come not from the disclosure of the widespread spying by NSA whistleblower Edward Snowden, per se, but the reaction of members from both major parties who are blaming the whistleblower and not the illegal acts of the NSA. What's wrong with this picture? One of the most vocal critics of Snowden is Sen. Dianne Feinstein, D-Calif., head of the Senate Intelligence Committee. Amazingly, she has called Snowden's brave act of whistleblowing an "act of treason." "I don't look at this as being a whistle-blower, I think it's an act of treason," Feinstein told reporters on Capitol Hill. "He took an oath - that oath is important. He violated the oath, he violated the law. It's an act of treason in my view." Feinstein has been joined in her scathing criticism of Snowden by other members of Congress - who ought to be upset at the NSA and President Obama for spying on their constituents, but who are, instead, behaving more like a child who has been caught with his hand in the cookie jar. "Edward Snowden is not a whistle-blower. What Edward Snowden did amounts to an Act of Treason," Sen. Bill Nelson, D-Fla., wrote in an editorial for the New York Daily News June 13. "And the Department of Justice should bring charges against him for deliberately taking classified information and leaking it in such a way that our enemies can use it against us." House Speaker John Boehner, R-Ohio, has called Snowden a "traitor," adding: "The disclosure of this information puts Americans at risk. It shows our adversaries what our capabilities are. And it's a giant violation of the law." Continuing, Boehner said in an interview with ABC News' George Stephanopoulos, "There's no American who's gonna be snooped on in any way, unless they're in contact with some terrorists somewhere around the world. ... And every time that I've been in a briefing, nine of the 10 people in a room are lawyers, there to protect the privacy of the American people." Former U.S. Ambassador to the UN during the Bush administration, John Bolton, added his spin recently as well, calling Snowden's act "the worst form of treason." "Number one, this man is a liar. He took an oath to keep the secrets that were shared with him so he could do his job. He said he would not disclose them, and he lied," Bolton told Bruce Wolf and Dan Proft on radio station WLS. "Number two, he lied because he thinks he's smarter and has a higher morality than the rest of us. This guy thinks he has a higher morality, that he can see clearer than other 299-million 999-thousand 999 of us, and therefore he can do what he wants. I say that is the worst form of treason." Sen. John McCain, R-Ariz., has also labeled Snowden's act as treasonous, and other longtime intelligence experts like Army Lt. Col. Ralph Peters (Ret.) have said the same thing (Peters believes the government should bring back the death penalty for acts of treason). But, as one poster to a blog online noted, is it treason to betray an organization and government that has betrayed its constitutional oath to the people? There's no question that the threat of terrorism exists. And few Americans are questioning the fact that the government's number one job is to defend the country and protect We the People. But the one thing no lawmaker, policymaker or expert is explaining is why the NSA is expending resources to spy on American citizens en masse, without any indications whatsoever that they are engaged in any action that would harm our country? Our leaders appear to be justifying the NSA's clearly unconstitutional actions by answering our legitimate concerns with a question: "If you aren't doing anything wrong, then what do you have to hide?" Only a big government statist would take that point of view. The fact is the NSA has no mandate to spy on American citizens without cause or provocation. None. Capturing every bit of electronic data possible on citizens is what a tyrannical government does, not one that is constitutionally mandated to protect individual liberty. The pained admonishments by our leaders that we should all just shut up, trust them and let the NSA and the government spy on all of us "to protect the country" is, in the words of former Vice President Al Gore, "not the American way."